General Awareness Section plays an important role in scoring.This section consists of questions on G.K. (General Knowledge) and Current Affairs updates. 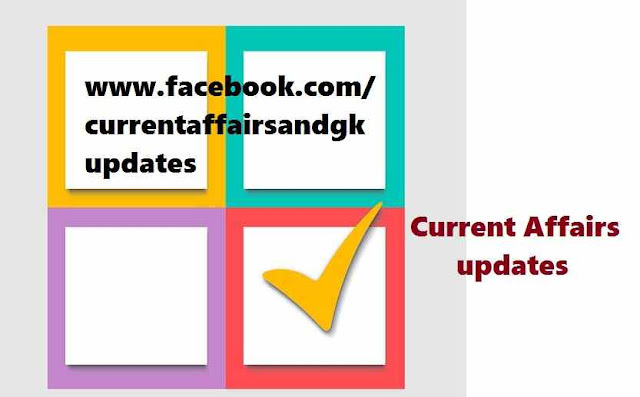 Current Affairs updates till 18th September 2015 are covered.Updates on 15th September, 16th September,17th September and 18th September are covered. 1.Novak Djokovic won Men's Singles US open title.He defeated Roger Federer in the finals. 2.The Indian Badminton team won 11 medals in Para Badminton World Championship held at Stoke Mandeville.The championships are hosted every two years. 3.Chanda Kochhar (ICICI Bank) and Arundhati Bhattacharya (SBI) have been ranked as top two in a list of most powerful women in Asia Pacific prepared by the global magazine Fortune. 4.Ashok Sridharan won election in Bonn (Germany) and became the first person of Indian origin to occupy Mayor's Chair.He is a candidate of Christian Democratic Union (CDU). 5.A 28 year old Australian Boxer Davey Browne Jnr has died after being knocked out in an IBF regional title fight. 6.Manpreeth Kaur shattered an 18 year old national record in Shot put at the 55th National Open Athletics Championships.She has been selected for the Rio Olympics. 7.The Chinese city of Hangzhou was confirmed as the host of 2022 Asian Games. 8.Swetha Prabhakaran,A 15 year old American girl has been honoured by the White house with the prestigious "Champions of Change" award for empowering the community by imparting Internet coding through her non profit organization. These updates on Current Events and recent happenings are useful for upcoming recruitment and competitive examinations like SSC (Staff Selection Commission),RRB (Railway Recruitment Board), RBI Recruitment,IBPS,SBI recruitment,Postal,Insurance and other State level recruitment examinations like TSPSC,APPSC,Haryana Board etc.